Fox first became aware of how much glass was being wasted in his aluminum storm window business, and then, due to new regulations for safety glass, he entered into a joint venture to build a glass tempering plant in Webster, Massachusetts. His curiosity brought him to Belgium where they manufactured the furnaces for tempering glass and also recycled the waste glass from the tempering process. He studied these processes to incorporate them into the Webster, MA, tempering operation. This plant eventually employed 300 people, before it was subsequently sold to Guardian Industries. Recycling Enterprises was begun in 1975, starting the roster of Fox’s prolific series of start-ups. Fox’s initial plant was in Oxford, Massachusetts, where 30 workers processed and supplied cullet (broken glass) to the glass industry. Then, in the period of 1979 through 1981 additional plants were developed in southern and northern NJ, employing 15 workers in each plant, to process beer bottles delivered by local bars and restaurants and waste glass from municipalities into usable glass cullet. By 1986, glass picked up by curbside recycling required 80 workers for processing and distribution. In 1981, he co-founded REI Distributors and became the largest glass processor for the industry in the Massachusetts to New Jersey corridor. He had a strategy of locating plants near glass manufacturers and developed partnerships with key companies in the field. In 1982, Fox’s operation built two additional plants; one in Newark, NJ, with 40 employees and one in Elmira, NY, with 20 employees in order to handle the materials resulting from the NY state bottle bill law. In 1985, with the help of the Institute for Local Self-Reliance (ILSR) and the Flint, MI, Environmental Action Team (FEAT), Fox received $500,000 from the newly created Michigan state recycling market development grant program and expanded westward from NJ to Flint. There, he developed a system to handle glass bottles from the MI state bottle bill. This new operation required processing the waste glass and the associated materials, such as aluminum, plastics, (PET bottles and polypropylene caps), and paperboard packaging. In addition to Flint, Fox set up plants across Michigan in Livonia, Grand Rapids and Howell in rapid succession. This expansion led to a merger with Alumet Smelting Co. where 150,000 square feet was dedicated to aluminum and 60,000 sq. ft. for glass. The company is still in operation. Soon thereafter, another plant was dedicated to provide the insulation industry with glass, creating another 40 jobs. In 1991, REI Distributors merged with Pure Tech International, a public corporation based in NJ. The company became one of the largest plastics recyclers in the U.S. In 1995, Pure Tech merged with Ozite Corp. and became a diversified manufacturer of plastic materials and products as well as continuing in the recycling field. Subsequently, Pure Tech International, which employed 2,400 people, was sold to a private entity. From 1988-1993, Fox’s enterprises entered the Canadian markets with a recycling plant that served a glass container manufacturing company in Toronto, followed by new plants in Framingham, MA; glass/plastics plants in Springfield, MA; Augusta ME; Bakersfield CA; PureTech Plastics in Farmingdale NY; Connecticut Container in Manchester CT; each facility employing from 20-60 jobs. 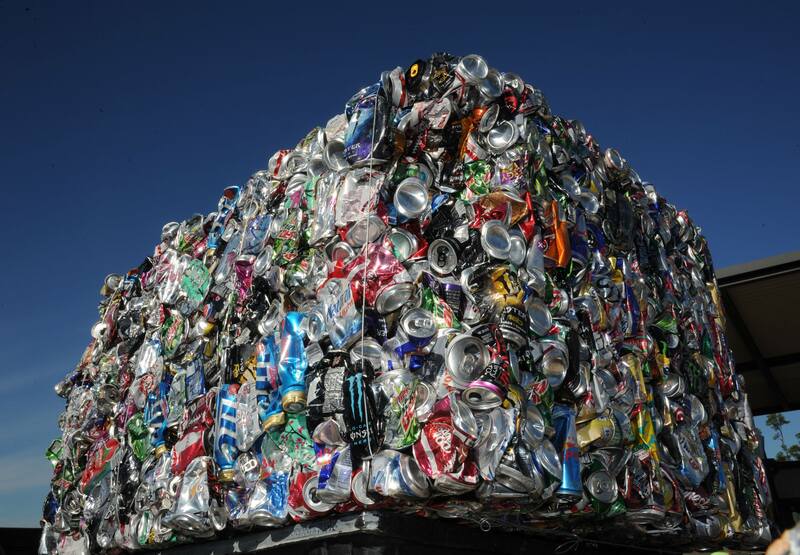 Throughout his career, Fox was a public interest businessman and was active at the local, regional, and national recycling levels. He was an early supporter of the nascent National Recycling Coalition (NRC). He shared his knowledge with anyone who asked, especially young people. To this day his philanthropy impacts new recruits to the recycling industry through several endowments for scholarships through the NRC and the Iowa Recycling Association. He has also made generous donations to ILSR’s Waste to Wealth Initiative. 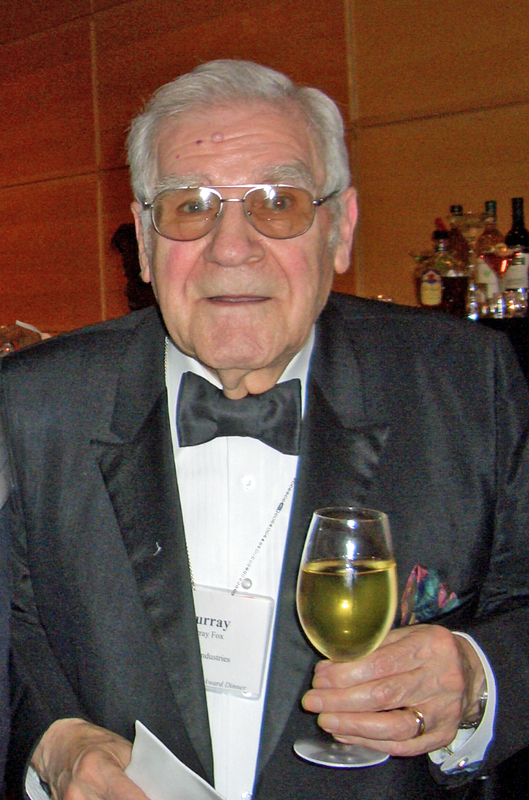 Murray Fox is now retired at age 92 and living with his wife in northern Connecticut. He shared his business acumen and concern for the environment with many of the future leaders of the U.S. recycling movement, myself included. For myself, he provided an additional invaluable service. My mother, Zelda, could not quite figure out my work at a non-profit organization that was committed to expanding a fledgling recycling sector. I invited her to attend a panel discussion at which both Murray and I participated at Cooper Union in New York City. Afterward, at her favorite restaurant in nearby Chinatown, she listened attentively and learned from Murray about the importance of recycling. Perhaps she paid better attention because he had grown up in Brooklyn, NY, and had that wonderful mellifluous Brooklyn accent just like hers. Zelda’s commitment to recycling and ILSR never wavered after this meeting with Murray, the true “Johnny Appleseed of Recycling” and a founding friend of ILSR.